If you take self-care serious, you know that self-care isn’t only about face masks and salt baths. It’s more, it’s deeper, it’s transformative. It’s life-changing. That might sound like an overambitious statement, but really, it’s not. If you’ve read our post on the seven pillars of serenity, dissecting self-care into seven categories you’ll probably recall mental self-care amongst them. 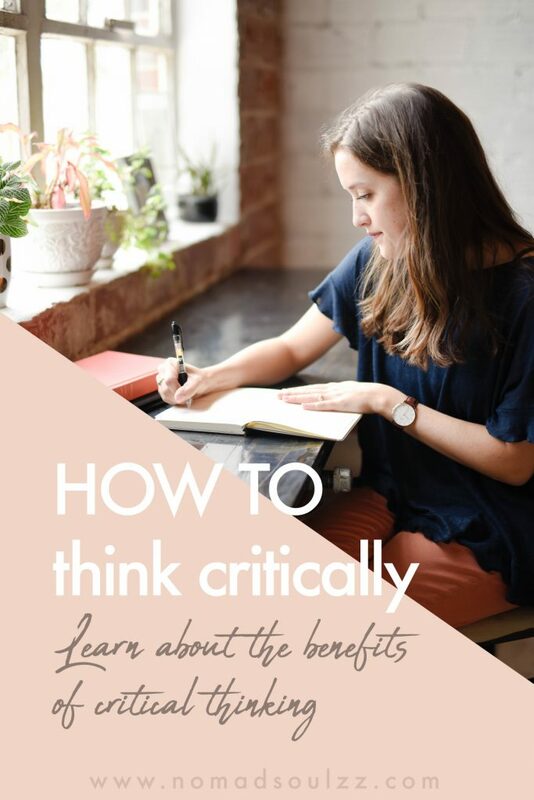 Learning how to think critically is a crucial method to level up your mental self-care game. And it was about time we dove deeper into this a bit complicated, yet intriguing, psychological subject. 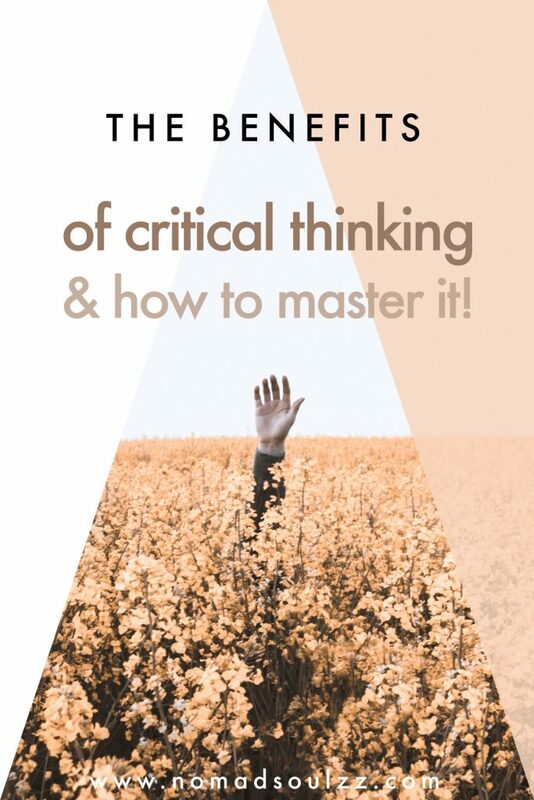 Bear with us, it won’t be as light as you’re used to from us but we promise to layout the basic information to grasp the concept of critical thinking, the benefits and how to. 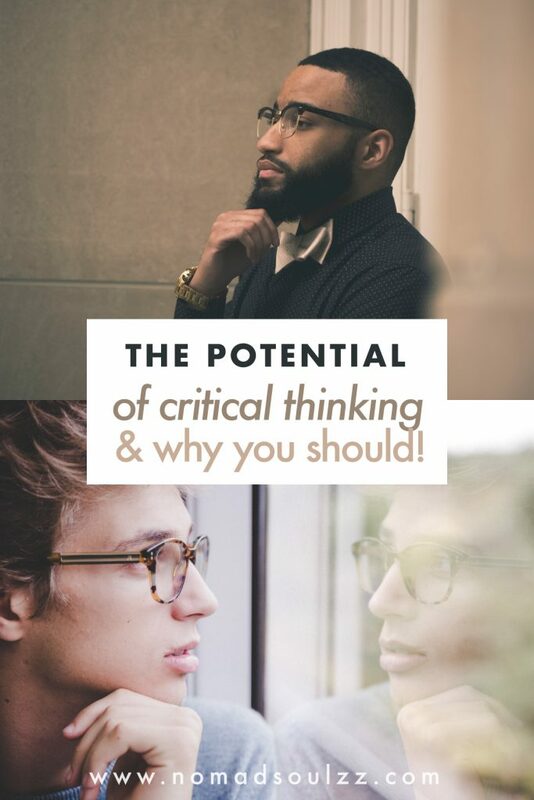 How to think critically is an invaluable skill. For a first, nowadays information about more or less any subject is easily available through the internet. But which sources are “true” and which are “false”. 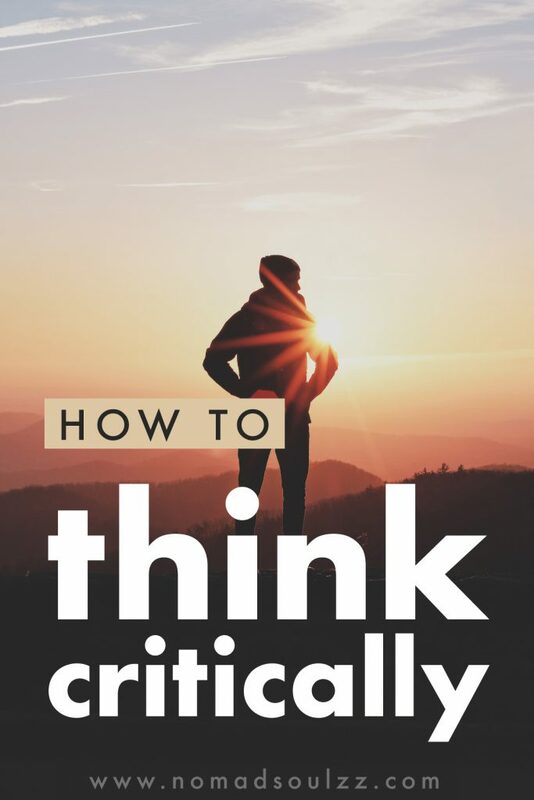 In this day and age, how to think critically is essential. You can’t just take everything you read or hear as truth anymore. Information has been twisted and is biased. Learn how to filter out the good from the bad so that you don’t fill your head with invalid beliefs. Keeping yourself sane and filled with honest and true beliefs instead of tampered and marketed ones. The quality of your life depends precisely on the quality of your thoughts. To excel and be effective in thought you need a systematical (and positive) approach. Don’t procrastinate, take control of your mind today and reap the benefits of your (focused) thoughts. Info alert! Focus mode on! 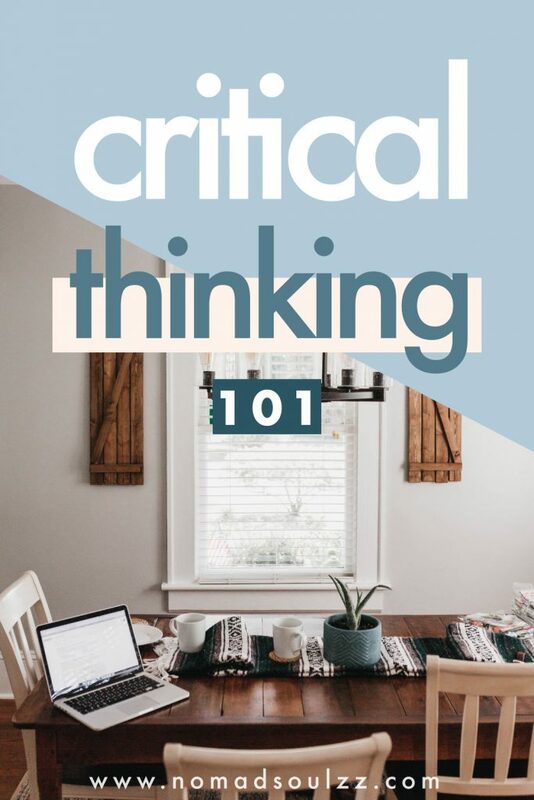 Thinking critically is a mode of thinking in which the thinker improves the quality of his or her thinking by skillfully analyzing, assessing, and reconstructing it. 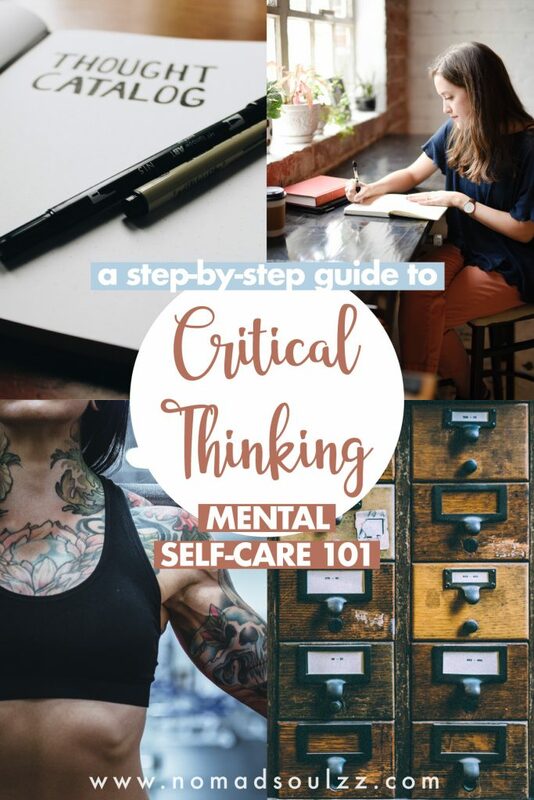 Critical thinking is self-directed, self-disciplined, self-monitored… and therefore a form of mental self-care! Critical thinking provides effective communication and problem-solving abilities. Also, it allows you to have a better understanding of other peoples thoughts and beliefs. If you can take charge of your own mind, you can take charge of your life. Reread that one. If you can take charge of your own mind, you can take charge of your life. Of course, this requires that you practice and ultimately become comfortable with self-discipline and the art of self-examination. But it’s so worth it! Dedicating time and energy to learn how you respond to impulses. And what your default thinking process is, comes with great virtue. To become interested in how your mind works, how you can monitor, fine tune, and modify the minds’ operations for the better. Mental self-care and self-knowledge at its peak! There is a common misconception about being a skeptic. It is often confused with a cynic. Galileo and Steve Jobs, for example, were skeptics. They had developed ways of thinking that challenged what appeared to be reliable facts. They understood that analyzing assumptions led to greater understanding, innovation, and creativity. A cynic distrusts most information they see or hear, particularly when it challenges their own belief system. Most often, cynics hold views that cannot be changed by contrary evidence. Thus, they often become intolerant of other people’s ideas. A skeptic, on the other hand, is a key part of critical thinking. The term skeptic is derived from the Greek skeptikos, meaning “to inquire” or “look around.” Skeptics require additional evidence before accepting someone’s claims as true. They are willing to challenge the status quo with open-mindedness and deep questioning. Becoming a ‘healthy’ skeptic will help you on how to think critically. You are a student of life but so is the rest of the world. Even if researchers have found things to be true, new research can always debunk existing ones. 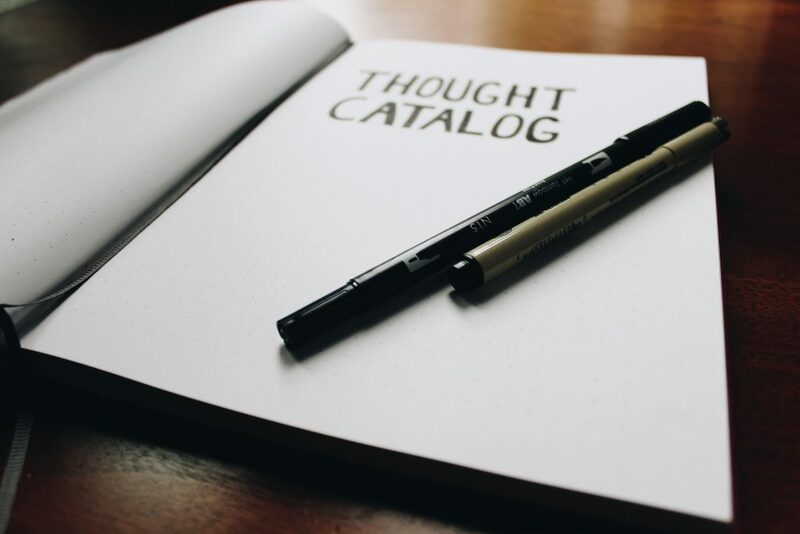 Obviously, objectively analyzing is a great deal of comprehending what’s what in that mind of ours and should be addressed accordingly when researching the process of critical thinking. 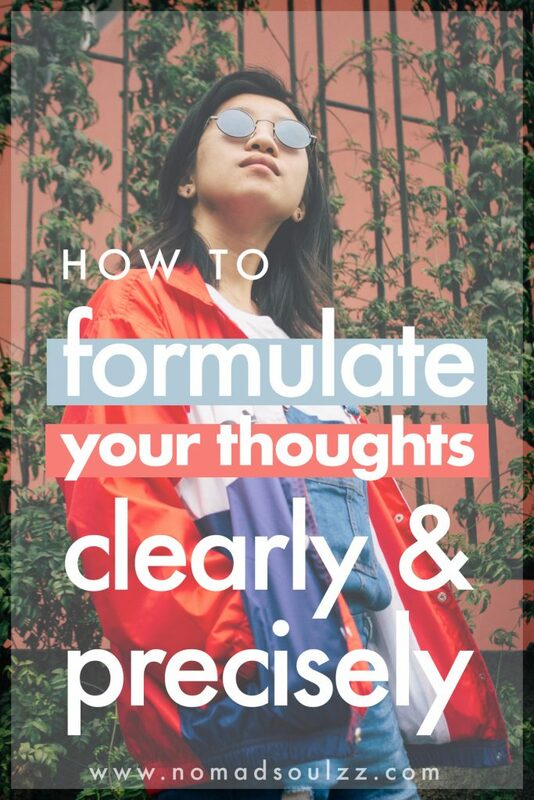 Below we highlight key points that can help to analyze our thoughts, responses, and more mental mind games. Yay! Asking the right questions and finding out which information is valuable and which is not is essentially what you’re doing when you’re thinking critically. Remember, adding critical thinking to your skill set means having a more clear mind. A mind that is thorough and honest towards what deserves attention and what is purely a distraction. On a daily basis, we’re being thrown so many statements and truths that filtering them is essential for a sane mind. 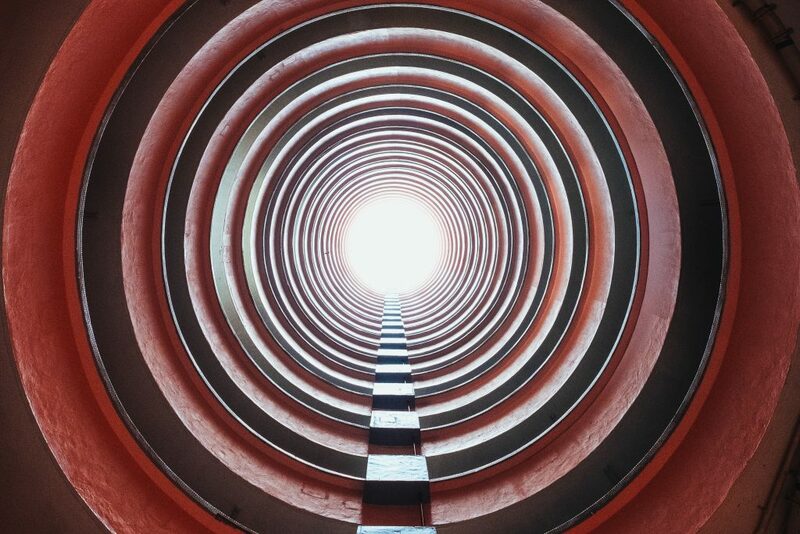 Step 1: Analyzing the purpose, the point of view and the assumptions are the first step. The purpose is important because knowing the intention will help you determine if it suits your needs. In addition, analyzing the point of view will help you determine how subjective/objective the given fact is. For example, if Apple recommends an iPhone it’s obvious that their point of view is subjective, with the intention to highlight only the benefits and why you need it in your life. Their purpose is to make your life easier and make money by doing so. Fair enough. But if your best friend recommends you an iPhone that a whole different approach. It will influence you differently, because the purpose, point of view and assumptions are different. See where we are going here? After you have gained all the initial information you need to come to a conclusion. Before you do so I would advise continuing to asses all the information. Reflecting on what you have learned is the most important. Giving things a second (or third) thought. Processing and adjusting where needed. In the process of assessing the given information, it is helpful to check the accuracy, relevance, depth, logic, and fairness of the information. Questions you can ask yourself are: How precise is the information you have gained? What are the chances of it being correct and truthful? Check to see if you require additional research on the subject to be certain of its quality. Sometimes in conversation or in writing there will be a lot of facts and assumptions thrown at you. However are these all relevant to your research? It must be connected or be appropriate to what is being done or considered. Go through a list of points and remove any unimportant facts. In other words, what is relevant and what not? In the light of ‘depth’ of the information. Does it provide enough insight and profundity? Is the purpose clear? Do you feel the information has given you enough solid facts? Sometimes we require more explanation to deeper understand a certain fact. Investigate if you feel you are lacking the information you require. Logic is a tool to develop reasonable conclusions based on a given set of data. Logic is free of emotion and deals very specifically with information in its purest form. Setup up a basic list of principles in which you will allow yourself to accept the facts as truth. And finally, the fairness of the given facts. A very important part of how to think critically is to do be impartial. Your preference is subjective and thus influenced by your interpretation. In the end, it’s better to ask a question than to remain ignorant. Ask questions about the content. Gain as much information as possible that will benefit you come to a well thought out conclusion. Use specific language and you can expect a more specific (and satisfying) answer, yay! Be the example: be objective yourself. Avoid adding emotion to the question. The final step, inference means you reach a conclusion on the basis of evidence and reasoning. Keep in mind to not let your personal opinion affect the facts. Above we presented a box, a guideline, a step-by-step… But life, let alone our mind, is not a step-by-step ‘thing’ to handle. What we mean by think out of the box, is more an encouragement for you to embrace the moment and critically asses what is necessary at that given moment. Juggle with the different steps and make a conclusion when you feel comfortable too. And then realize that that conclusion can change, and is not definite. Like everything in life, this too is temporary. 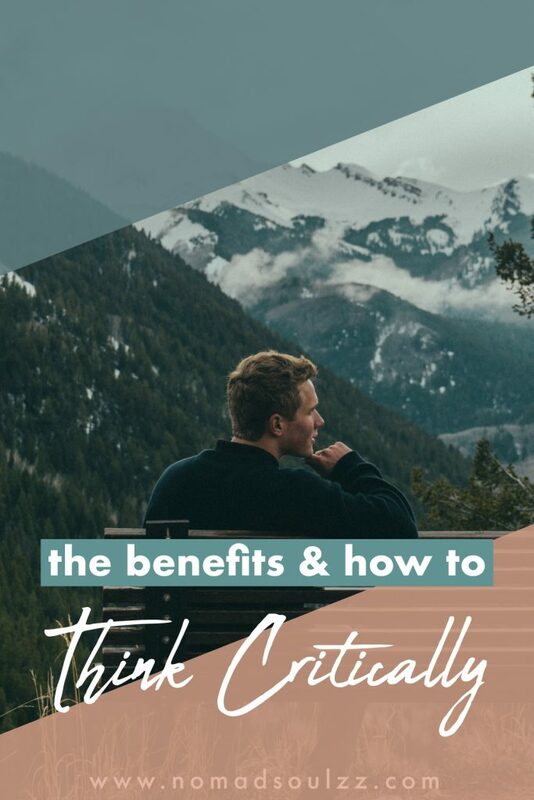 There are many benefits to gain from critical thinking. Such as raising vital questions and problems which you will be able to formulate clearly and precisely. Communicate them effectively with others in figuring out solutions to complex problems. Gather and assess relevant information, if need be, their assumptions, implications, and practical consequences. Think open-mindedly within alternative systems of thought. Sadly it is quite “natural” to live an automated life. 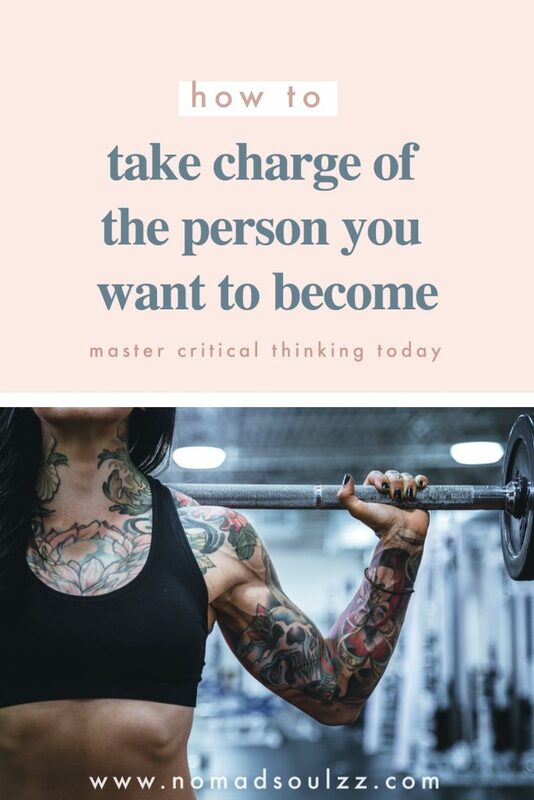 It is possible to live, in other words, without really taking charge of the person you are becoming. You won’t develop or act upon the skills and insights you are capable of. 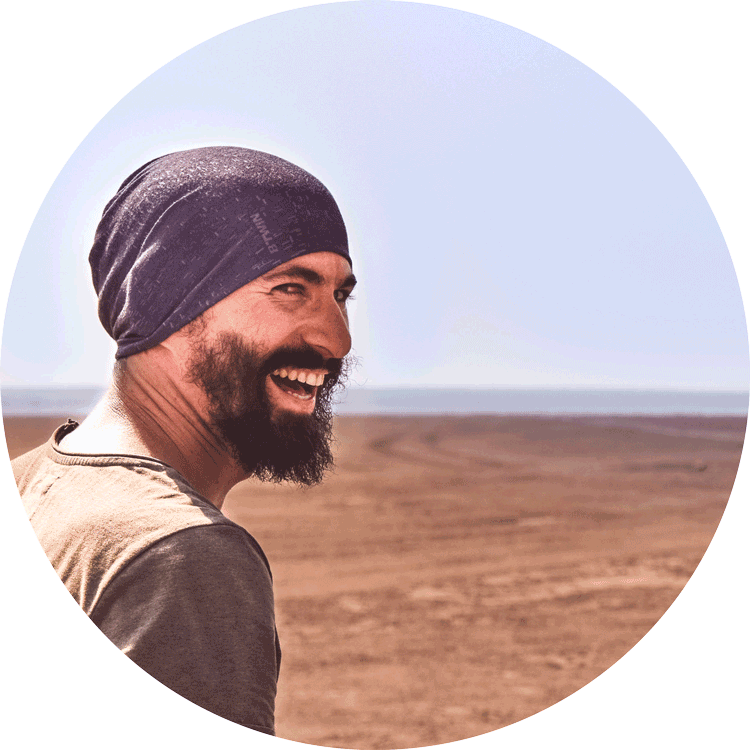 If you allow yourself to become an unreflective person you are likely to injure yourself and others and to miss many opportunities to make your own life, and the lives of others, fuller, happier, and more productive. 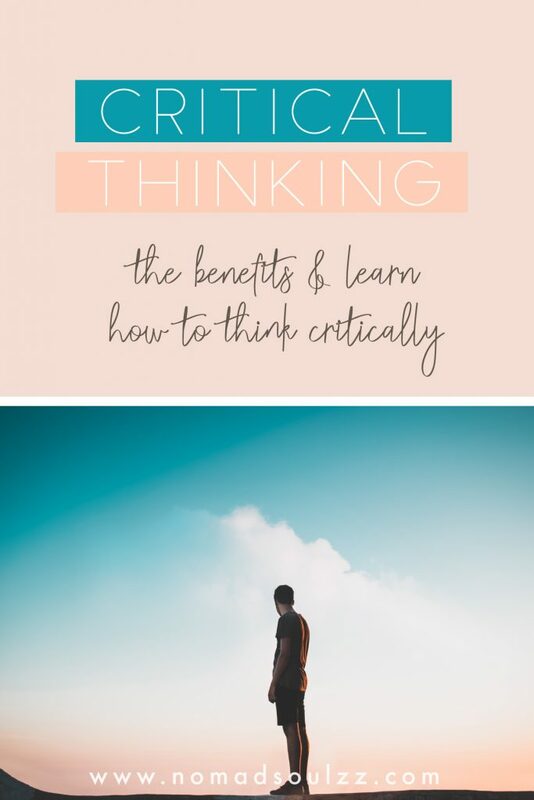 Whereas practicing and actively incorporating critical thinking into your life will have opposite, positive and very welcomed effects. Take charge of your thoughts, your life, your reality. Make the world a better place and inspire others to do the same. You have The Power of Choice. 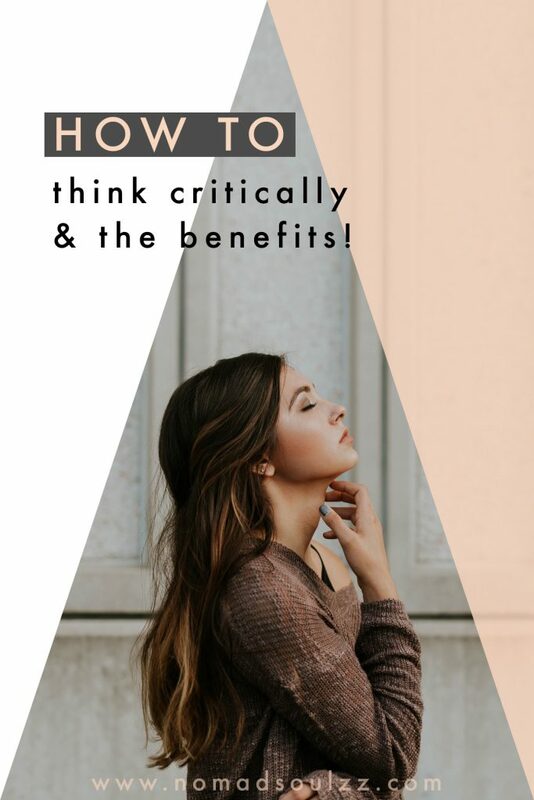 We hope you enjoyed our post on how to think critically and would greatly appreciate it if you share on your social media platforms. 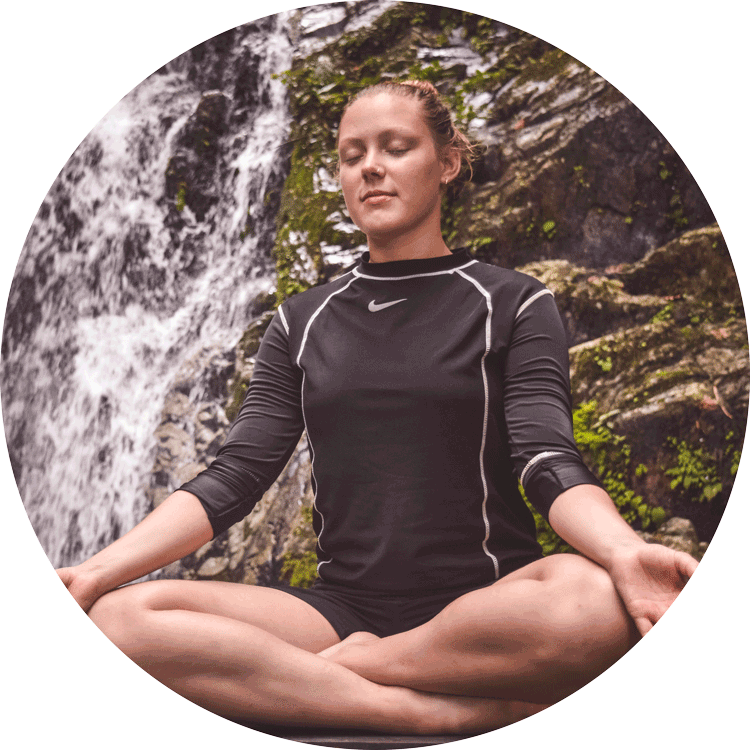 This support contributes to our dream of building a mindful, positive and critical tribe of awesome people like you!